Roller bearing design allows low back pressure handling for a variety of products: cups, totes, slug, cartons etc. 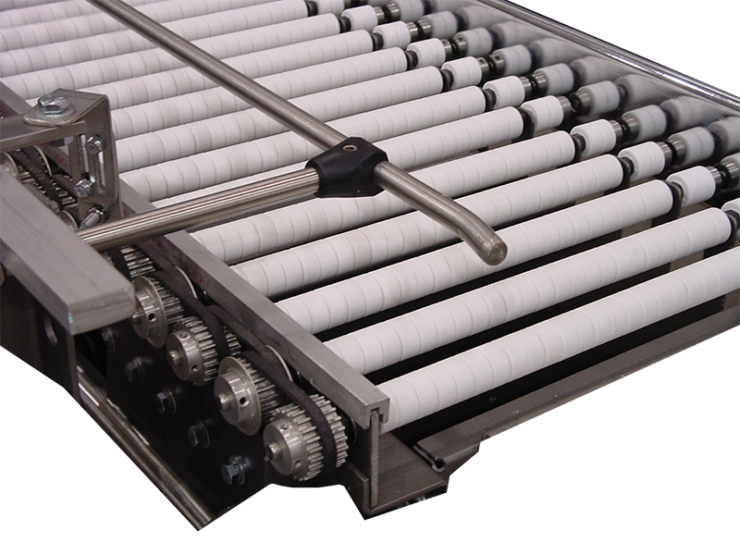 SOFT-TOUCH Conveyor can be integrated with Dillin’s full line of products and controls to provide a stand-alone piece of equipment or a complete, customized system. Can provide Zero contact accumulation when “zones” are added to the conveyor. Copyright © 2018 Dillin Automation Systems Corp.